Well, yes. He’s a dog, that’s what they do. 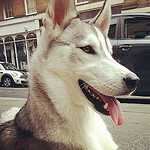 My dog is a Siberian Husky and at the time of writing is 10 months old. He’s happy, excitable, intelligent, and also bites furniture, toys, shoes, food – and fingers if they get in the way. Happy, smiley and teeth that could maim in a moment. If you were asked; ‘Does your child hit other children?’ You would probably be able to say; ‘No, I’ve taught him that violence never solves anything and it’s always better to discuss our problems and respect the other person’s point of view.’ What if I asked; ‘Will your child ever hit another person?’ You may pause for a moment and reply; ‘Well I guess if someone made them really angry or jealous – or frightened.. or even irritated, then yes, I guess they might.’ So if we acknowledge that even a sophisticated social being can be provoked to react inappropriately, how did we get to a point where so many feel so confident that a dog, a family pet, will not attack, albeit briefly, a child? Let’s be absolutely clear here; nothing, absolutely nothing is more important than the life and safety of a child. Having established this fact we must also acknowledge that our dogs have rights too. They have the right to their personal space and the right to be left alone when they are tired, frightened, irritated and nervous. Dogs need us, their owner, to help ensure they are not placed in a situation where they cannot walk away from discomfort, alarm, over excitement or fear. For most of us who own dogs I guess we paid little attention to the press coverage relating to the amended Dangerous Dogs Act. If we don’t own an identified dangerous breed then why should we be interested? Well, in a nutshell, this act recognises that every dog has the propensity to be dangerous in the wrong circumstances. Note the use of ‘might‘ and ‘thinks‘ here. This should be a cause for concern for any dog owner. The penalties are severe and could result in the dog being destroyed. So we have two tragedies we wish to avoid; the maiming of, or fatal injury to, a child, and the arguably avoidable death of a loved pet because the owner did not foresee the potentially dangerous situation arising. We can put dogs into two groups; those who are known to the child and those who are strangers. It’s important to help people understand that the challenges and dangers are pretty much the same whether it’s your family pet or a dog you encounter in the street. In both cases there is a need for support and guidance to help adults and children to develop, and use, bite avoidance strategies. ‘Young children are often bitten by dogs, particularly boys aged five to nine years old. Male dogs are usually responsible and are either family pets or dogs that belong to friends or neighbours. The Blue Dog website has summarised a range of research in this area. In summary we can see that for many families there is a tacit assumption that a family pet would never bite a family member. 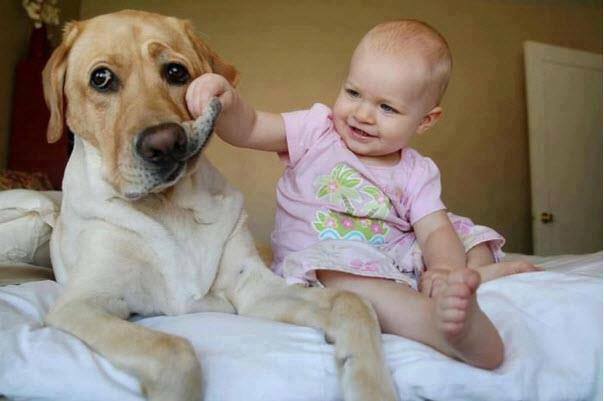 The child is cute, the dog is cute so what could possibly go wrong? Things go wrong when the dog has been tugged, prodded, surprised, alarmed, subjected to loud noise, over excitement or may simply be tired and fed up. In these instances the dog will use it’s mouth to protect itself and express its state of mind in the only way it knows how. There are warning signs though and we can teach children to recognise them. Organisations and canine professionals across the world have developed education programmes and resources to help empower families to recognise the signs and take steps to prevent the potential attack taking place. To encourage this conversation I use this lead when I know we will be walking among crowds or busy pavements. 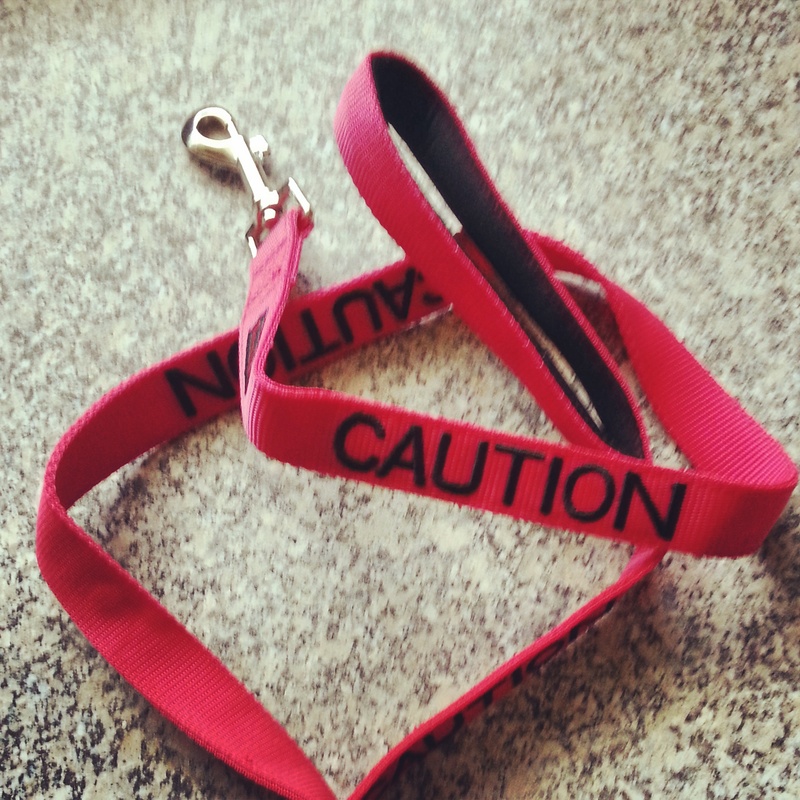 It feels easier and safer for my dog to have the word ‘caution’ emblazoned on his leash. There have been times too when asked if my dog bites I reply with ‘Yes he might.’ Ultimately my responsibility is to ensure my dog isn’t provoked into antisocial behaviour, a child or adult isn’t hurt and neither my dog or I are punished for an event we didn’t cause. It would be wrong to think only children see dogs as people in fur. Try searching the web for ‘cute kid and dog’ and see how many images are posted, presumably by parents and family members, to show how ‘safe’ their dog is around a child. Within the context of this blog post, consider whether the following images now make you smile – or shudder ever so slightly at what might have been. 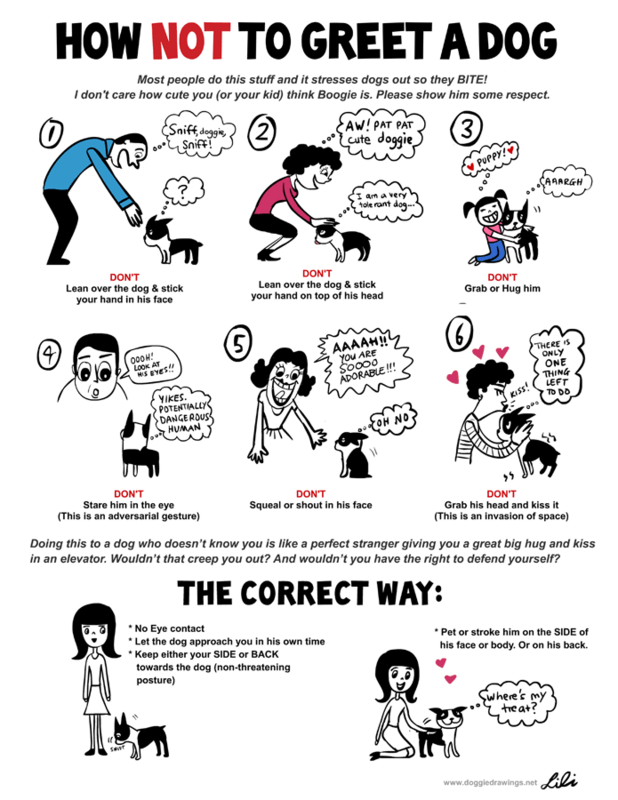 6 Responses to Does your dog bite? Great article – have shared it to my wall and also to my dog training clubs wall. A really well written article. Will share to both mainstream and ‘dog ‘ people in the hope it’s message continues to spread. Fantastic article! I’ve shared and bookmarked. Thank you.